Boy, do I have a great Valentine’s Day gift for you guys! In fact…I have THREE! Those of you who have been following my blog for a while now, will have a feel for the type of person I am. I’m someone who likes to spread the love, and I also like to give back to my readers / followers on my blog in any way, shape or form. When I told someone yesterday that I’d be doing this giveaway, they asked me how the prizes were relevant to my blog. For me, it’s not really about that. It’s about me giving back to you guys, whether it’s in the form of beauty products, lifestyle products or anything really. We are all multi-dimensional & I’m pretty sure none of you guys are ONLY passionate about beauty. Yes, we all love beauty products but I personally enjoy cooking and crafting as well. Technology also interests me, and that’s why I was in the telecommunications industry for over 6 years. Anyway, I have had a good couple of beauty-related giveaways here on the blog (and they will continue) but every now and again there will be other types of giveaways thrown into the mix too – just to keep it interesting! Today I have three Samsung Chat 333 cellular phones to give away to 3 lucky readers of my blog. I don’t know about you, but if there was any way that I could win a cellular phone, I’d be all over that! February is the month of love, and to be honest, to me it’s not only about a romantic love. At the risk of sounding like a cheeseball: Love is everywhere, it’s in everything we do. Whether it’s you paying the toll fee for the car behind you at the toll gates, or maybe you like to buy a bacon & cheese burger for your granny because you know she loves them. So today I am showing my love for you guys in the form of a giveaway. 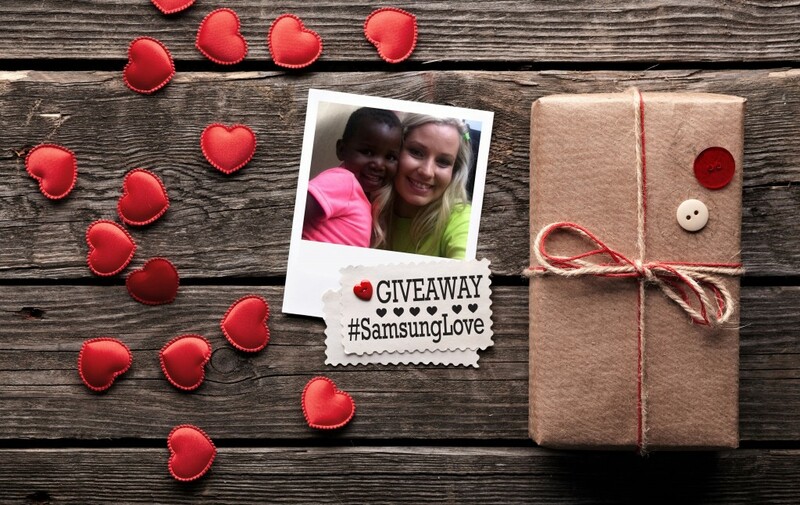 If another blogger was doing this giveaway, and I wanted to enter, then I would have submitted the above photo. That’s one of the ways I like to spread the love – charity work. I’m not going to go into the technical details of the phone, but if you would like to read more about it, you can check it out here. 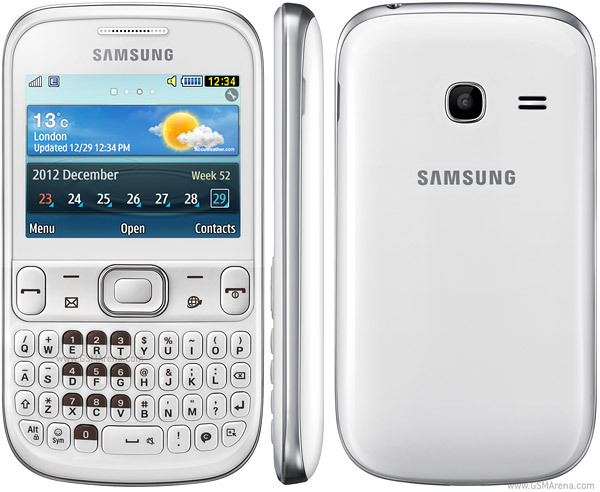 This is what the Samsung Chat 333 looks like, isn’t it a cutie? 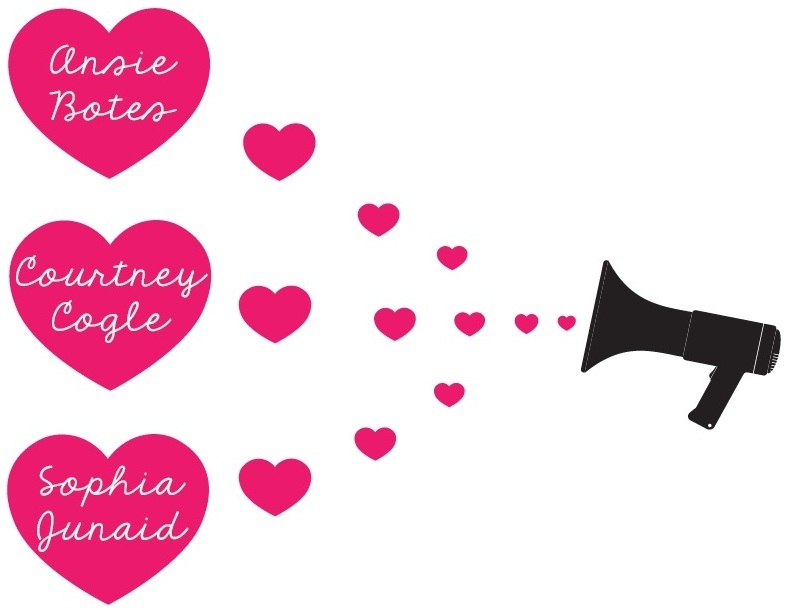 Three winners will be randomly chosen by me on the 14th of February 2014 (so you have 1 week to enter). This giveaway is open to South African residents only. Once I have picked the winners, I will get in contact with you via the channel you entered the giveaway to get your delivery address (Samsung will be sending the prizes). Wow, love love love this! Im 200% sure your readers would love to win anything in a giveaway, not just beauty products. I know I would. I’m sending my photo now. Thank you, Luzanne, and thank you Samsung. I love these types of giveaways, like you said it keeps it interesting and well rounded. Not everyone is only into beauty products. 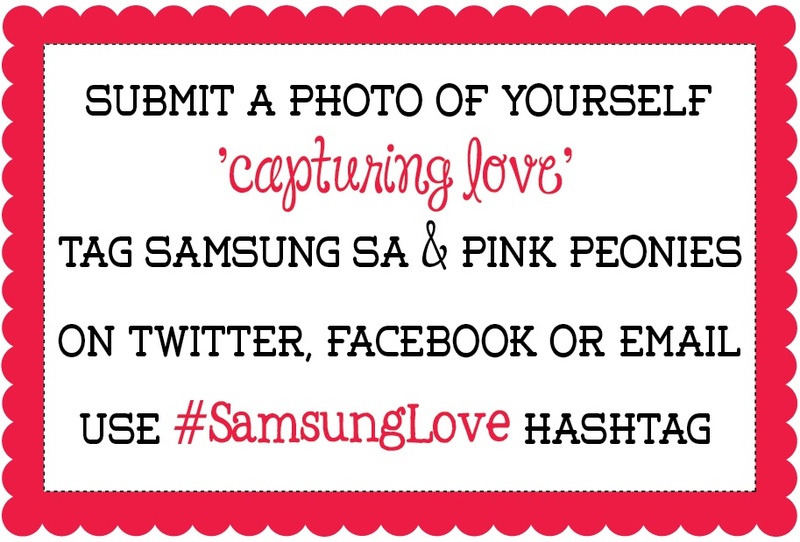 This is a wonderful give-away, thank you Samsung & Pink Peonies! What an amazing opportunity Luzanne, so happy for you! The phone is so cute! Wonderful giveaway! Frankly you can give away anything you want and do anything you want on your blog. You have some loyal followers Luzanne! Thank you for keeping your blog interesting and diverse. Now…… to take a photo capturing love…. thinking cap ON! Shoh, you have alot of entries on Twitter, Luzanne. Well done! This is a great opportunity for you. I agree with Ada, your blog is truly something special. Very diverse, interesting and always beautiful. I almost feel like I know you in person and feel proud of you. Im so excited to enter this giveaway, I will be sending my photo to you now as I dont have access to twitter or fb. What a lovely photo. Yes, doing charity work is so rewarding when you bring a smile to someones face and joy in their lives! I visit your blog regularly, awesome photos girl!And now this great give away. I’ll be sending a photo soon! Holding thumbs to be a lucky winner!